Retail design, branding and graphics are by AvroKo, an award-winning design firm. 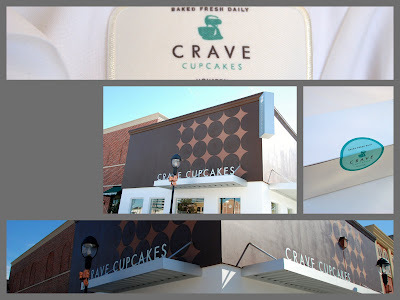 My friend, Linda told us about Crave Cupcakes in Houston and their wonderful Nutella cupcake. As promised, Tall Husband and I went to check it out. It is with great humility that I report to you: Crave's Nutella cupcake is far more delicious than mine. The people at Crave Cupcakes are as sweet as their baked goods. 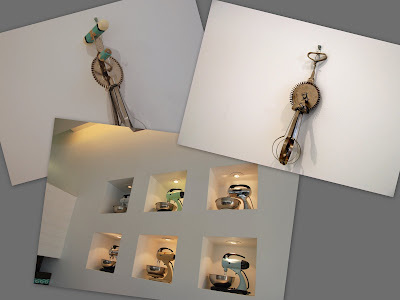 The vintage mixers and beaters at Crave Cupcakes are a great touch. Yikes! Do you see that!? Only one Nutella Cupcake left. And I got it! Whew. 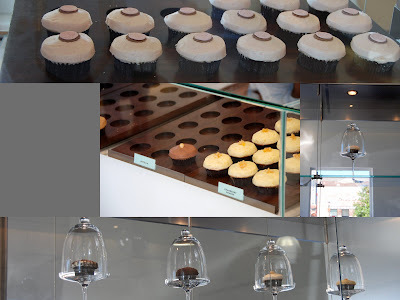 Also take note of the sweet little cloches, each displaying a single cupcake. The Wild Woman wearing the "toe shoes" said that she found them at Luke's Locker. 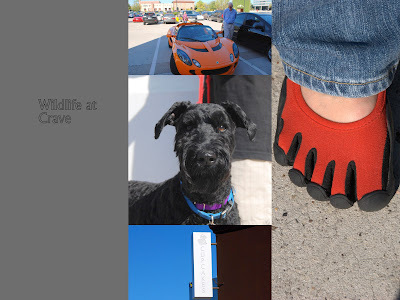 The sights around Crave Cupcakes are wild! Just sitting outside, eating the most delicious cupcake you've ever put into your mouth would be enough. But the wildlife attracted to this place is just as delicious. What a fun post! Very adorable cupcake bakery!! Love that funny shoe also. My little one has just recently discovered the joys of Nutella. I foresee a field trip to Crave tout de suite!